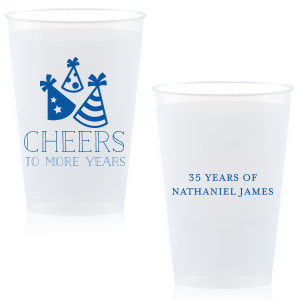 Serve up your special kid-friendly party punch in personalized kid birthday 12 oz frosted plastic cups! 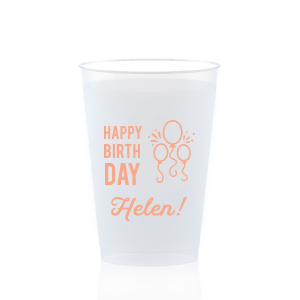 Customize 12 oz frost flex birthday party cups today to complement your party theme by choosing a style below or designing your own in the FYP Customizer. 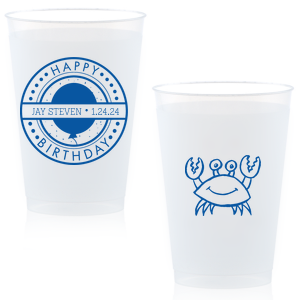 Give the celebration an extra touch of personalization with custom designed kid birthday 12 oz frost flex cups. 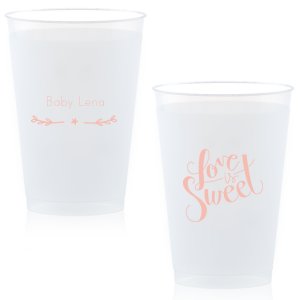 Simply choose a screen printing color that coordinates with your party theme and browse our design ideas galleries for inspiration as you create your customized kids party 12 oz frosted plastic cups. The design options are nearly endless, and the customized kid birthday 12 oz frosted plastic cups are reusable, shatterproof and BPA free! 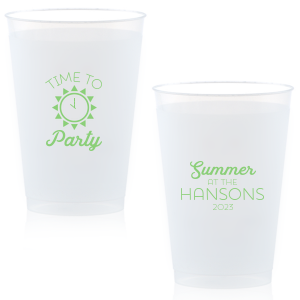 Party guests can feel free to take their personalized kid birthday 12 oz frosted cups home as a party favor. 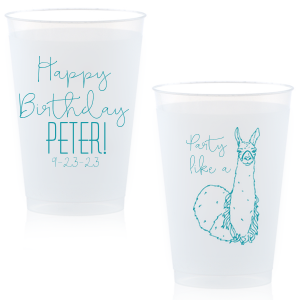 Design your custom kid birthday 12 oz frosted cups today!